Student credit cards are a great way to begin building credit history and start off on the right financial path. Wise credit use can establish a good credit score early that will help you get a job, rent an apartment, and get good rates on insurance. But with so many to choose from, how do you begin your search for the best student credit card? 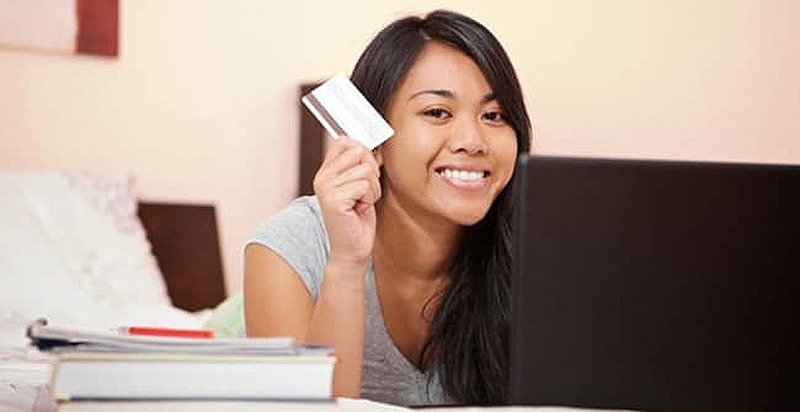 Here are some tips to make your search a little easier, along with some recommendations on credit card plans designed specifically with students in mind. A few years ago, it was common for students graduating from high school to receive dozens of credit card offers in the mail. That all changed when the Credit Card Accountability Responsibility and Disclosure Act passed by Congress in 2009. This law says anyone applying for a credit card must demonstrate they have the means to pay back any debts they incur — this means showing you have a job and that your expenses don’t exceed your income. Some cards allow for a co-signer who will help a student to qualify. However, if you have the means, try to get one in your name alone. Plenty of lenders actually offer credit cards for people with no credit history or a limited history — perfect for students just starting out on their own. The interest rate for a first-time cardholder can be pretty hefty. Some cards charge as much as 25% for students. Fortunately, there are other cards with much lower APRs. This may not mean a lot to someone who is just learning about interest charges, so let’s use a real money example. Let’s say you charge $250 on your card and take six months to pay it back. On a card with a 12% interest rate, you’ll pay around $9 extra over that period, but a card with a 25% rate will cost you more than $22 in interest. Keep in mind it can add up to even more if you delay paying it back for longer. Be sure to check out our extensive collection of low APR credit cards to find the best rates currently available. Most credit cards offered to students come with some type of reward plan. This can take the form of cash back rewards for things like gas, food or other necessities. Other rewards include on-time payment bonuses, cash certificates for use at retail stores, and discounts if you use your card for certain types of purchases. Additionally, many student cards reward good grades these days — generally considered a GPA of 3.0 or higher — with an annual statement credit. Just be careful not to focus more attention on the rewards than the money you’re spending. After all, you have to pay that money back — with interest. Check out our excellent selection of points and gift rewards credit cards to start earning goodies of your own. There are so many cards out there for students that you shouldn’t even consider one that comes with an annual fee. Many card issuers hope first-time credit card holders will assume annual fees are a standard part of the process — this is not so. There are far more cards out there with no annual fee than there are cards that charge one, so don’t fall for it. Below are some of our expert’s favorite cards for students, all with no annual fee and nice rewards programs. 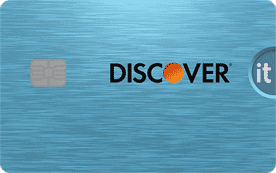 Discover now offers free FICO credit scores to its members, which is a nice way for students to track their credit. The issuer is also forgiving on late payments, offering no APR change for paying a little late — another attractive feature for young adults new to managing their finances. This card has particularly generous cash back rewards, especially in quarterly rotating categories. 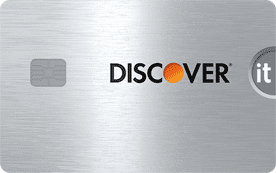 Another Discover card, the issuer’s student cards offer an annual statement for good grades, free FICO scores, no penalty for paying late, no annual fee, and cash back rewards. This card is a winning offer for anyone in school. The following card offers cash back rewards with no limit to the amount of cash back you can earn, and your rewards never expire. Make your first five payments on time and earn access to a higher credit limit — all with no annual fee or foreign transaction fees.